This page contains special productions of Earth Eats. 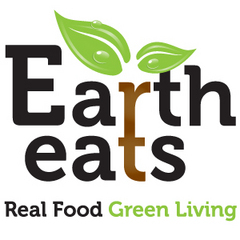 Earth Eats: Real Food, Green Living is a weekly 29:00 program of real food and green living, exploring local food and sustainable agriculture. It's available as a subscription through PRX's SubAuto service. More about the show, as well as episodes, supplemental articles, and photos, are available the program's website http://eartheats.org. :30 second promo for Earth Eats weekly radio series. Thanksgiving Special - "Earth Eats Thanksgiving"
An hour-long program of thoroughly entertaining and tasty-to-the-ears grilling tips, recipes, music and more! Makes a wonderful summertime special.